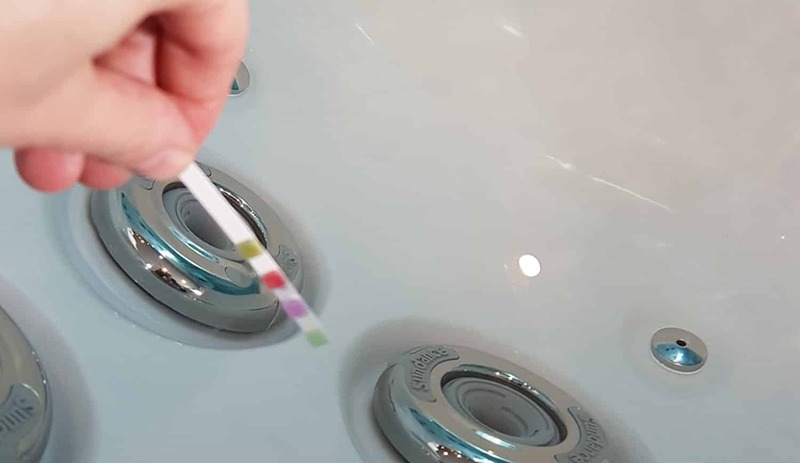 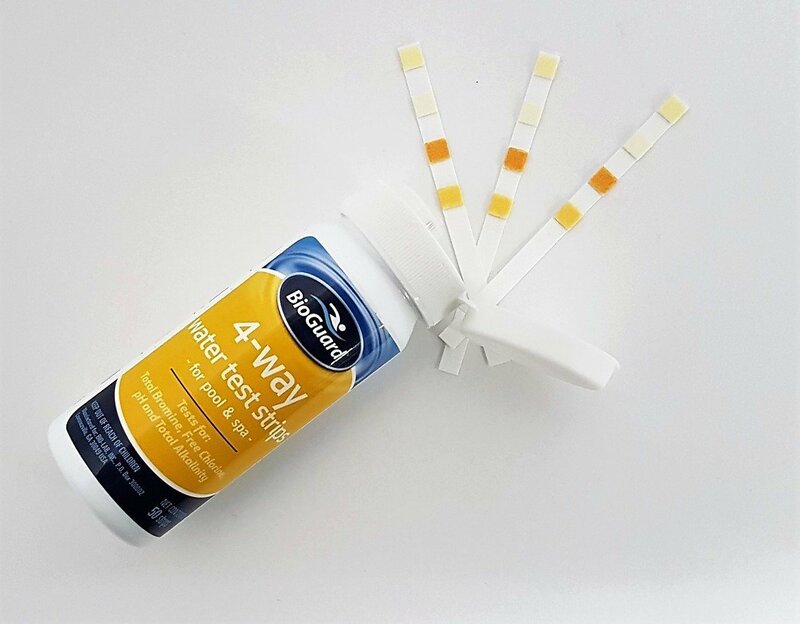 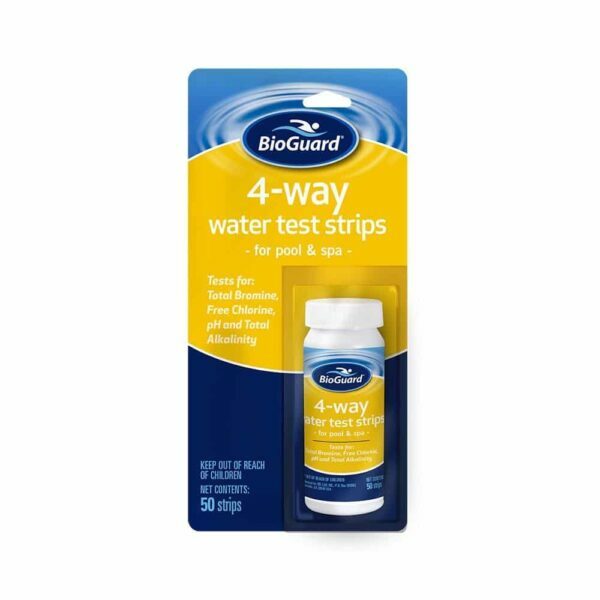 BioGuard 4 Way Test Strips (50 Per Bottle) Dip and read strips test quickly for chlorine or bromine residual, pH and Total Alkalinity. 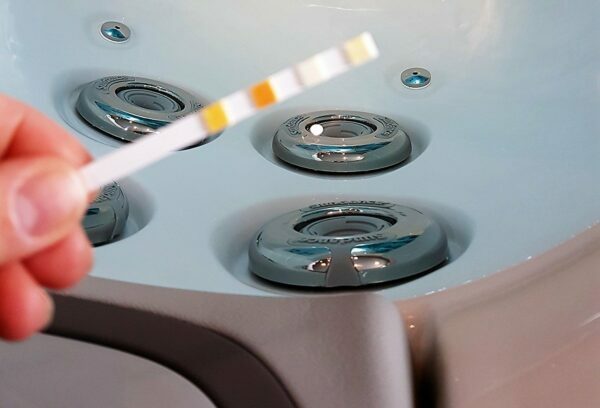 Easy and popular testing method for swimming pools and spas. 1 bottle contains 50 strips.